In this video, top coach and former international player, Craig Bryant, shows us how to do an “around the net” shot. When a ball is played wide, instead of returning the ball over the net, you can let it drop a little lower and spin the ball around the net. It’s a fun shot to practice and if you ever manage to do it in a competitive match, you’ll shock your opponent with a spectacular and unreturnable shot. 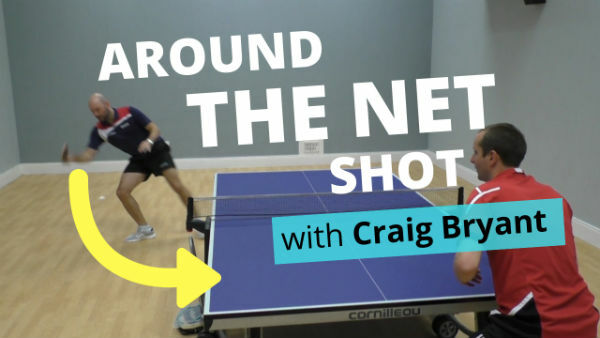 In the video, Craig explains how to do an “around the net” shot and gives some tips on how you can practice.